As part of the platform’s major demographic (a woman and art/design lover), I’ve been using Pinterest on a daily basis for my home décor needs. Whenever I want to renovate a chair, arrange my closet in an effective way or just feel like getting some creative ideas and inspirations to add some splash of color to my daily life, I turn to Pinterest. Pinterest is an amazing platform for sharing ideas (I call them inspirations – but that’s just me). Ideas can take many forms, from recipes to renovation projects to the perfect pair of shoes. I was surprised when I found out that some of the pins are actually promoted! 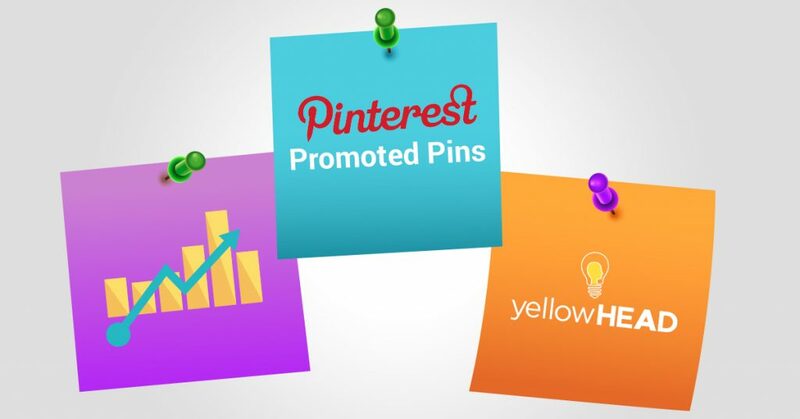 And was even more shocked to find out that these Promoted Pins actually work pretty well for many businesses that create their own Pins to highlight products, build brand awareness and/or increase sales. Every idea is represented by a “Pin” – that includes an image, a description and a link back to the image’s source online. When people click a Pin’s URL, they can find out more about the idea and act on it. Pins are collected on “Boards”, which are kind of like virtual cork boards. Boards are generally topic-specific and composed of related Pins. Promoted Pins are essentially regular pins that are publicized to more people by paying for exposure. You can use Pinterest in a few different ways – search for something you’re interested in (for example: green kitchen), browse your home feed (similar to Facebook’s news feed) for all sorts of new ideas, or actively look at Boards of other users you are interested in to get inspired by their ideas. If you like an idea and want to save it, you can just click on “Save” and the pin will be saved to your own Board, or you may click on the Pin’s URL to learn more, shop or buy. A new feature has recently become available – Pinterest Lens. You can scan a photo from your phone and search for a product similar to the one you took a picture of, without having to find the right words to describe it! An additional cool feature is Instant Ideas – when you see an idea (a pin) that catches your eye and would like to find more ideas similar to it, just tap the circle on the pin and related ideas will show up, instantly! Expose your brand to a completely new audience of people who have never heard of your product or business before. How do you pay? Cost per 1000 impressions. Encourage Pinners to interact with your content within the Pinterest platform by re-pinning or clicking your Promoted Pins. How do you pay? Pay per engagement action: a closeup, re-pin, or click. Encourage people to click on your ad and directly reach your website. How do you pay? Pay per click. Who do you want to see your Promoted Pins? Choose from a long list of interests. Pinterest will provide recommended keywords based on trending searches relevant to your Pin. Choose your product’s related keywords to appear in search results. You also have the option to manually add keywords or import an existing list of keywords. Keyword targeting helps increase in-store sales, boost traffic and drive online actions by showing your products to people who actively search for your product and are ready to take the next step. Show your Promoted Pins to people who are most receptive to your brand – those are users who already visited your site or app, engaged with your Pins or are existing customers. Users similar to Pinners who already engaged with your Pins (similar to Facebook’s “Lookalike” Audience). In October 2016, Pinterest announced 150 million monthly active users – 70 million in the U.S. and 80 million outside the U.S.
Then, in April 2017, they announced 175 million monthly active users. 55% of U.S. online shoppers picked Pinterest as their favorite social media platform. If you’ve never used Pinterest for personal purposes, I would fully recommend that you start. On the professional side, your business might get a boost out of this wonderful promotion platform. It’s time to create your own success story!